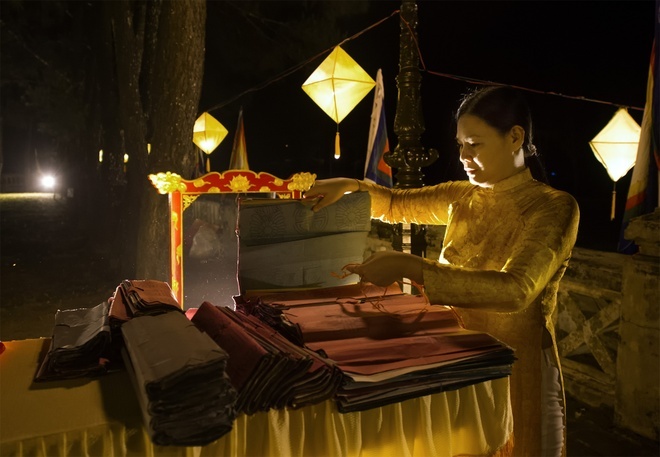 VietNamNet Bridge - Thousands of people attended the the Nam Giao Offering Rituals in the 2016 Hue Festival in Hue City at midnight of April 29. 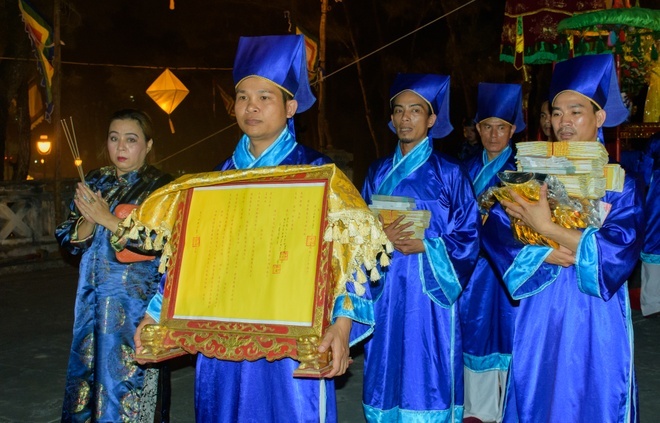 The Nam Giao Ritual saw hundreds of artists revive the Nguyen Dynasty ritual that prays for a peaceful country and prosperous people. 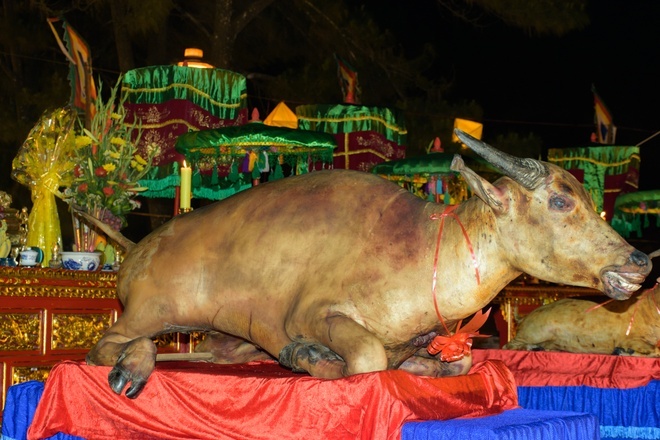 The Nam Giao Offering Ritual is dedicated to the sacrifice to Heaven and Earth, and primary gods in the country. 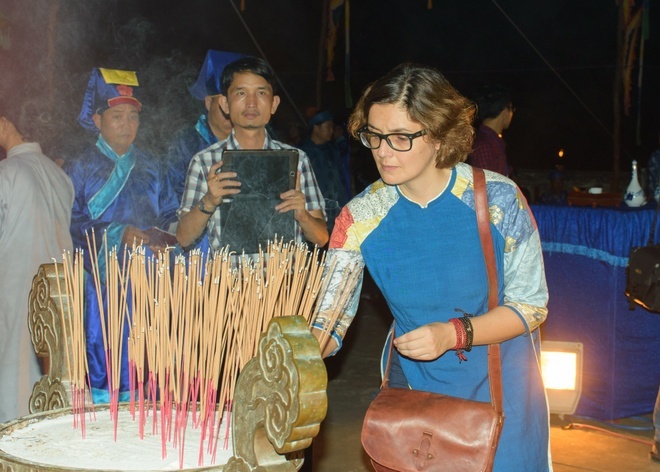 Thus, under the monarchial reigns of Vietnam, this was the most important sacrificial ceremony which was imposingly and solemnly carried out. 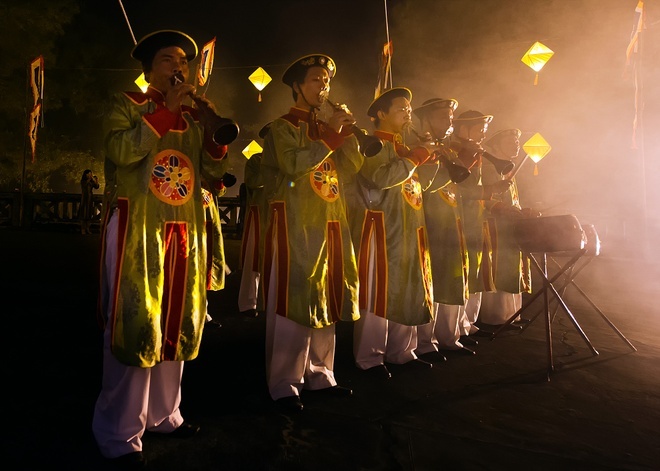 Under the Nguyen Dynasty, the construction of the Nam Giao Esplanade started in 1806 and completed at the end of the 19th century. It was located in the south of the Imperial City in Hue and comprised of three terraces. The upper one was in round shape, which signified the Heaven, and the two lower terraces were in square shape, which symbolized the Earth and Human. The esplanade covered about 10 hectares in all and included a pine forest. 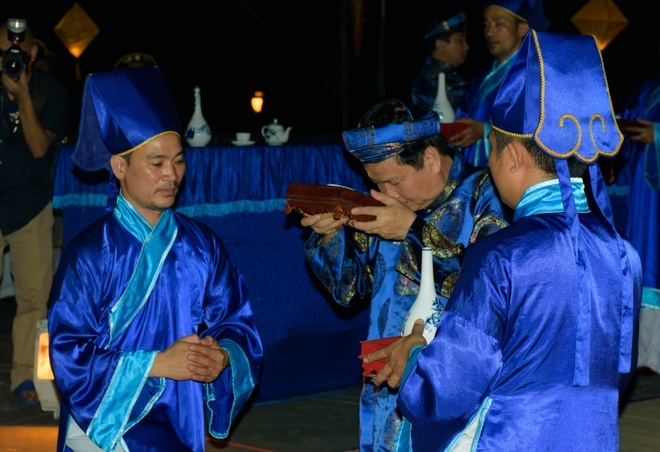 The Nguyen Dynasty annually organized Nam Giao Offering Ritual in spring. 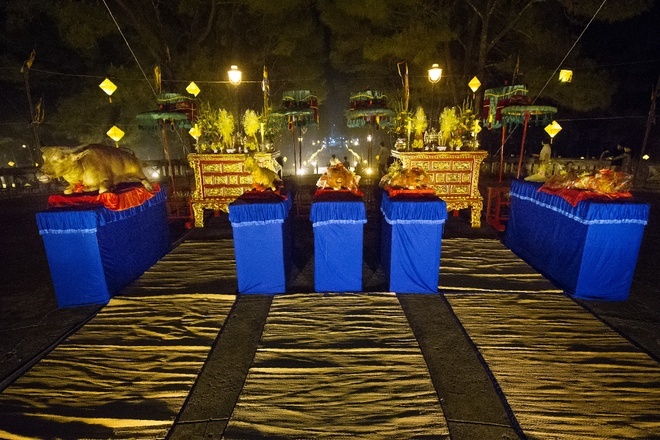 From the reign of King Thanh Thai afterward, the ceremony was only implemented every three years due to limited budget. After 1945, the Nam Giao Esplanade was unkempt and the area was encroached and deteriorated gradually. 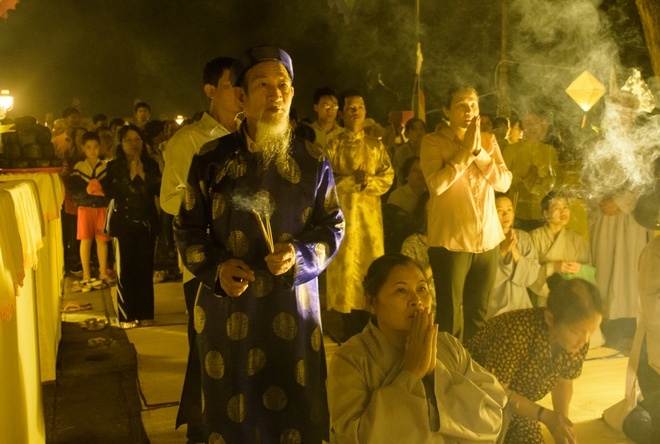 Nowadays, it has been restored and the UNESCO recognized Nam Giao as a World Culture Heritage site in 1993. 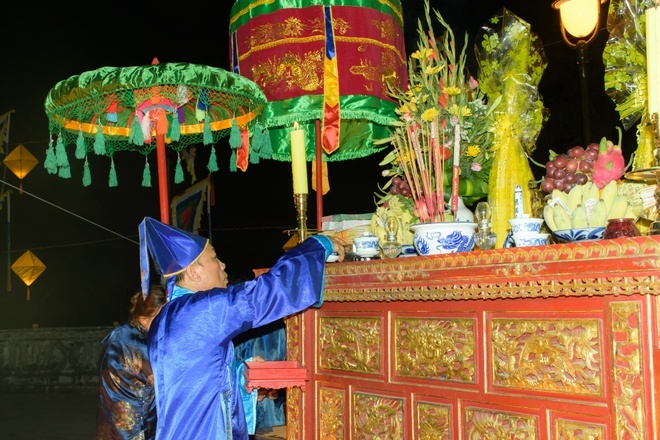 Because of the historical and cultural significances and values of the Nam Giao Offering Ritual, the royal ceremony was restored during the previous Hue Festivals. 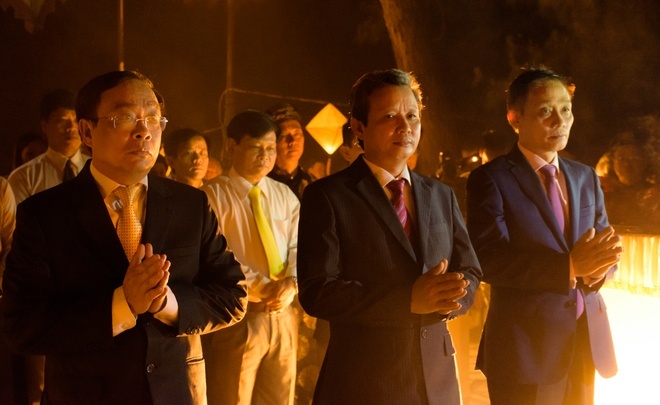 High-ranking officials of Thua Thien-Hue Province. 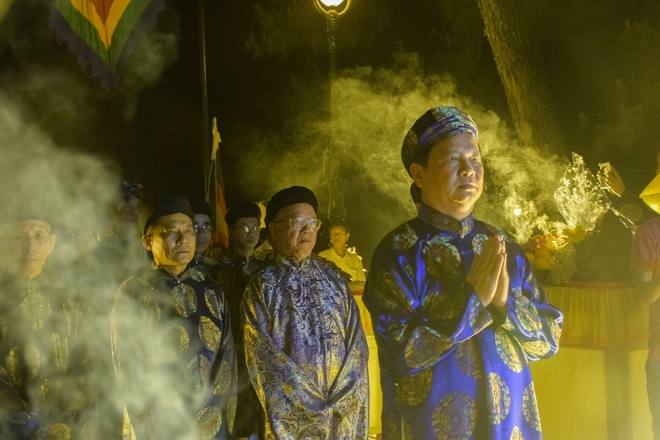 Nguyen Dung, Vice Chair of Thua Thien-Hue Province is the officiating priest. 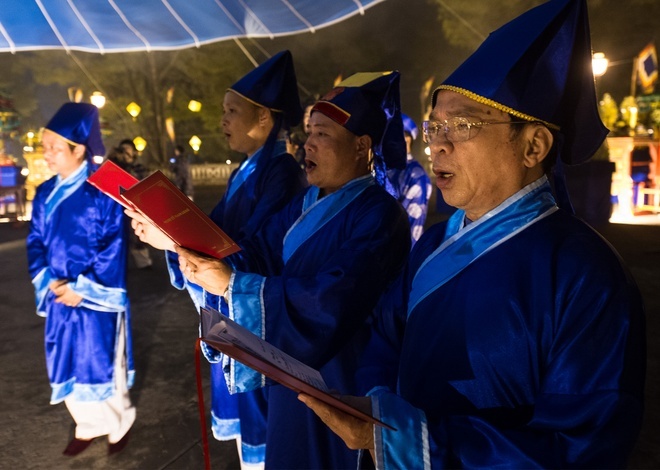 Thousands of locals and tourists attend the ceremony. 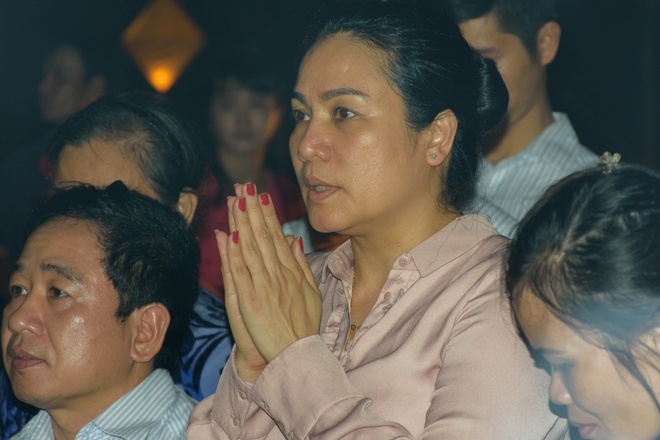 A foreign tourist in Vietnamese ao dai.